GayandRight: An important new book from Terry Glavin! An important new book from Terry Glavin! 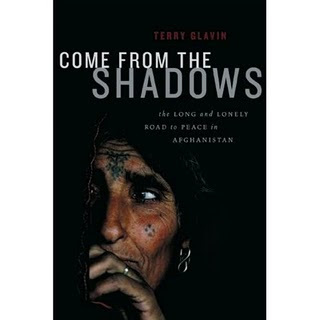 Terry Glavin's new book, Come From the Shadows: The Long and Lonely Struggle for Peace in Afghanistan, is coming out in October and I just can't wait. There's nobody in Canada who knows more about Afghanistan than Terry and this book will turn some heads. I was lucky enough to read the prologue and it blew me away. Some people think that Terry is the Christopher Hitchens of Canada - they actually have it backwards. Hitchens is the Terry Glavin of the United States. He's a great journalist and cares passionately about the people of Afghanistan. The Free Thinking Film Society will be hosting a book launch for Terry in Ottawa, so stay tuned. "Glavin’s forensic demolition of pious myths about Afghanistan and fierce defence of liberal values is persuasive and exhilarating." "The best journalism exists to refute self-serving and self-satisfied prejudices. With reporting from the ground and historical scholarship, Terry Glavin demolishes our illusions about Afghanistan, and produces a book that is at once an assault on received wisdom and a humane defence of the rights of subjugated peoples." "Terry Glavin is the West's most eloquent advocate of the cause of Afghan liberty. His voice is a powerful counterweight to the many others who relentlessly counsel abdication of that cause." Leaked! The Latest Memo from Jack!